With this product you can accumulate up to 46 Glitter Points. 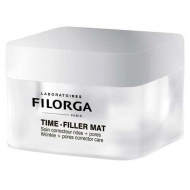 Combats wrinkles and dark circles. Protects the eyelids and eyelashes. 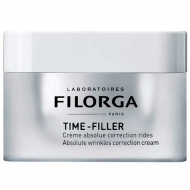 DESCRIPTION: Time-Filler Eyes Crème Absolue Correction Regard by Filorga is an anti aging care for the eye contour. 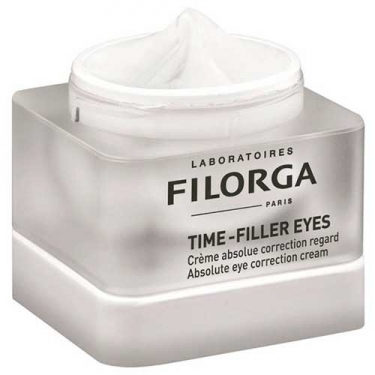 Formulated with the NCTF and TIME-FILLER complexes, they work synergistically to fill and relax expression wrinkles, prevent drooping eyelids and increase eyelash density, while filling in dark circles and reducing their color. The eye contour feels fresh and youthful. Apply morning and evening with your fingertips, around the eye contour and the root of the eyelashes.